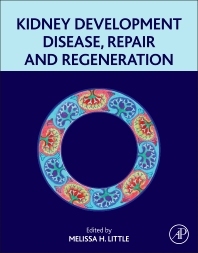 Kidney Development, Disease, Repair and Regeneration focuses on the molecular and cellular basis of kidney development, exploring the origins of kidney lineages, the development of kidney tissue subcompartments, as well as the genetic and environmental regulation of kidney development. Special coverage is given to kidney stem cells and possible steps towards kidney repair and regeneration. Emphasis is placed on the fetal origins of postnatal renal disease and our current understanding of the molecular basis of damage and repair. Biomedical researchers across experimental nephrology and developmental biology will find this a key reference for learning how the underlying developmental mechanisms of the kidney will lead to greater advances in regenerative medicine within nephrology. Does GDNF/RET Signaling Specify the Normal Pattern of UB Branching? What Is the Renal Stroma? Why Is the Kidney Susceptible to Programming? Chapter 24. Postnatal Cell Turnover in the Nephron Epithelium: What Can This Tell Us? Chapter 25. Plasticity within the Collecting Ducts: What Role Does This Play in Response to Injury? Chapter 27. The Molecular Response to Renal Injury: How Does Chronic Renal Damage Suppress Normal Repair Processes? Multiple Pools of Stem Cells in the Kidney? How Does Reprogramming to Pluripotency Occur? Chapter 41. Tissue Engineering through Additive Manufacturing: Hope for a Bioengineered Kidney? 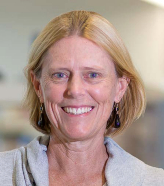 Professor Melissa Little is an NHMRC Senior Principal Research Fellow at the Murdoch Children’s Research Institute, Royal Children’s Hospital, Melbourne and is a Professor in the Faculty of Medicine, Dentistry and Health Sciences, University of Melbourne, Australia. An alumnus of The University of Queensland, Australia, she worked for more than 20 years at the Institute for Molecular Bioscience, where her research has focused on the molecular basis of kidney development, renal disease, and repair. She is internationally recognized both for her work on the systems biology of kidney development and also for her pioneering studies into potential regenerative therapies in the kidney. Her research now focuses on the generation of mini-kidneys from patient stem cells for use in drug screening and disease modelling. Professor Little is a recipient of the GlaxoSmithKline Award for Research Excellence (2005), Gottschalk Medal (2004), Eisenhower Fellowship (2006) and a Boorhaave Professorship (2015). From 2007-2008, she served as the Chief Scientific Officer at the Australian Stem Cell Centre and is currently the Vice President of the Australasian Society for Stem Cell Research. Professor Little is also on the editorial board of the Journal of the American Society for Nephrology, Kidney International, Development and Developmental Biology. Her appreciation for the wonder of developmental biology also stems from her role as the mother of two beautiful children.